President Bruce Boghosian announced this week the addition of two new members of AUA’s Senior Administration team: Dr. Dennis Leavens as Provost and Ms. Maral Chalian as Vice President of Institutional Advancement. 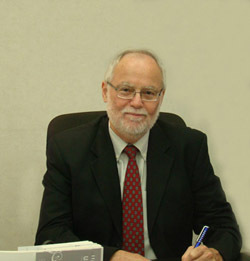 Leavens comes to AUA from the Faculty of Humanities and Social Sciences at United Arab Emirates University in Al Ain where he served as Professor of English from 2005, Associate Dean from 2006, and more recently as Interim Dean from March 2011. From 1988 until 2005, Leavens was on the faculty of English at Truman State University in Missouri, and from 1983-1988 he was Assistant Professor of English at Benedictine College in Atchison, Kansas. Leavens will begin work on July 1. 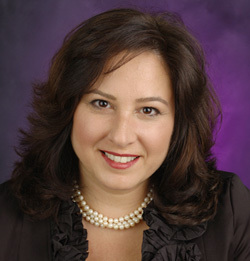 Chalian comes to AUA from Children’s Hospital Los Angeles, where she was Associate Director for Major Gifts and Planned Giving. Prior to that, she was the Principal Consultant for External Relations and Fundraising for MC Non-Profit Consultants in Los Angeles, where her clients included Occidental College. Chalian is familiar with Armenia, having worked for the United Armenian Fund as Director of Special Projects and External Relations from 1996 to 2005. She has earned a Certificat de Langue Française at the Sorbonne, a BA degree in English Literature from California State University, Northridge, and a Certificate of Completion in Developing Major Gifts from the Fundraising School of Indiana University. She is currently pursuing an Executive Master of Leadership degree at the Sol Price School of Public Policy at the University of Southern California. Chalian will begin work in April, and will spend much time at AUA’s Oakland office and Yerevan campus.